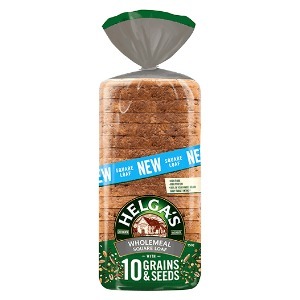 Helga’s Continental Bakehouse has released their new Square Loaf range – Helga’s great tasting breads in a lunch-box friendly shape. 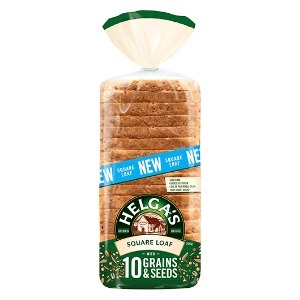 Whether it’s crunchy toast for breakfast, a sandwich sensation for lunch or an afternoon jaffle, you’ll delight in the delicious goodness of Helga’s 10 Grains and Seeds Square Loaf range. 10 Grains & Seeds – the perfect balance between soft bread and healthy whole grains and seeds, all in a convenient lunch-box-friendly shape. The tasty grains and seeds including rye, barley, purple wheat and linseed have been specially selected by Helga’s expert bakers to help deliver important nutrients including fibre and protein – 25% of your whole grain daily target. Wholemeal 10 Grains & Seeds – the perfect balance between soft wholemeal bread and healthy whole grains and seeds, all in a convenient lunch-box-friendly shape. The tasty grains and seeds including rye, barley, purple wheat and linseed have been specially selected by Helga’s expert bakers to help deliver important nutrients including fibre and protein – 80% of your whole grain daily target.